Thinking Maps are consistent visual patterns linked directly to eight specific thought processes. By visualizing our thinking, we create concrete images of abstract thoughts. These patterns help all students reach higher levels of critical and creative thinking – essential components of 21st Century education. 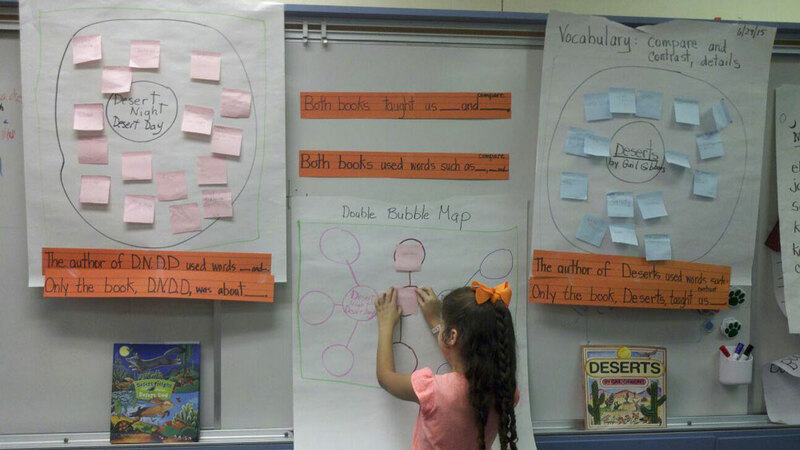 In a school-wide implementation, Thinking Maps establish a consistent Language for Learning. 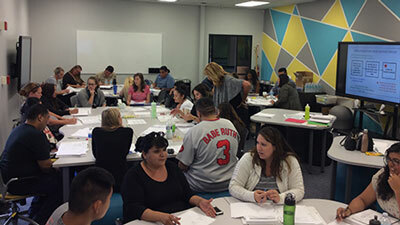 PUSD began our implementation of Thinking Maps in 2007 with districtwide professional development and Training of Trainers. 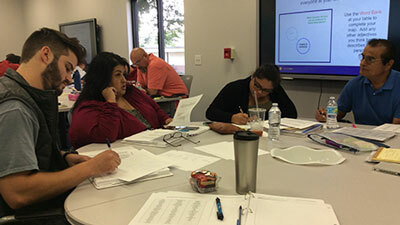 Since June 5, 2017, 151 teachers participated in initial Thinking Maps training in order to establish continuity of providing a basic foundation of critical thinking and cognitive skills. 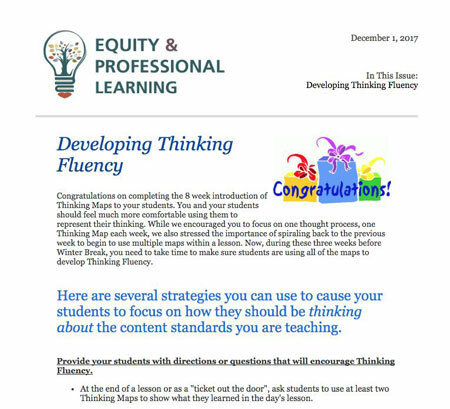 An 8- week Thinking Maps roll-out (introduction/review for students) was launched through weekly emails with resources and support. Monthly literacy/content connections will continue throughout the school year through email to teachers with resources, examples, and support. Incorporate Multiple Maps in your lessons. Here are samples of how multiple types of Thinking Maps can be used in different content area lessons. In this example, students use multiple maps to understand the digestive process. The Flow Map helps students think about the sequence and what happens at each phase.Next, the Circle Map allows students to brainstorm and list everything they know about each of the steps in the process. Later, students consider the body parts that are functioning during each phase. Finally, students sequence each of the three prcesses in the larger digestive process. 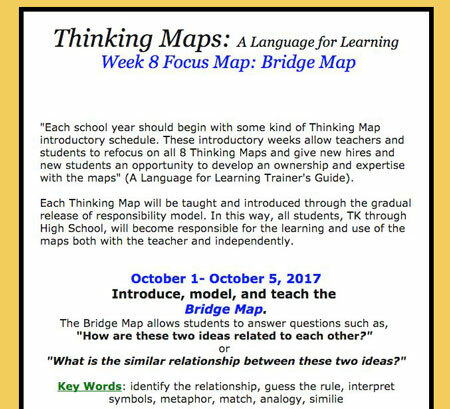 By using multiple maps, students will develop a much deeper understanding of this complicated process that affects each one of us. In this example, students read about Spanish explorers and their arrival in Florida. First, students listed facts from the text to define Ponce de Leon on a Circle Map. Then, students determined the reasons why each of the explorers sailed to Florida on two separate one-sided Multi-Flow Maps. 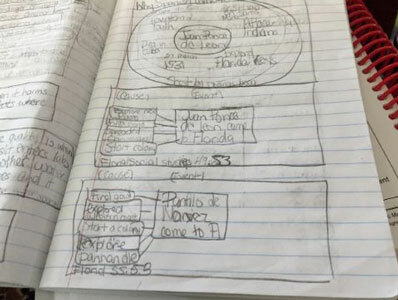 Afterwards, students compared the reasons why the two explorers came to Florida on a Double Bubble Map to determine key similarities and differences among each explorer’s purpose. Finally, students took the information off all the maps by writing short constructed responses to the teacher’s research question. 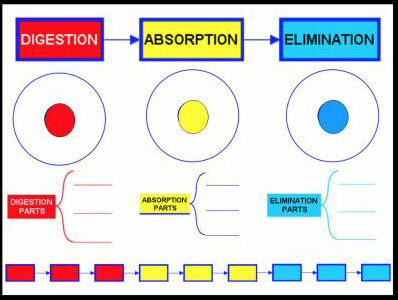 In this example, students use the Bridge Map to develop understanding of key vocabulary related to the content with the Relating Factor being “represents”. 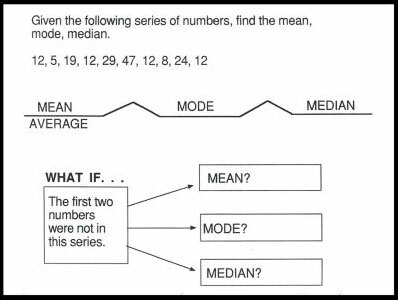 Then, students consider the effects of a hypothetical scenario on the mean, mode, and median using the one-sided Multi-Flow Map. 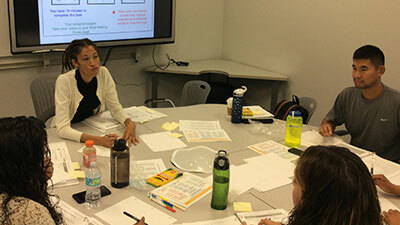 Students go beyond rote calculation and can demonstrate a deeper level of conceptual understanding when they are presented with a novel situation in the familiar format of the one-sided Multi-Flow Map.